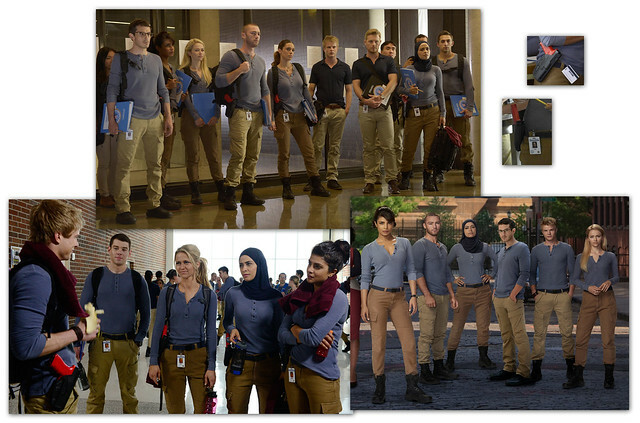 I gave up on ABC's Quantico before the end of Season 1 because it got too ridiculous, but it doesn't mean that I couldn't still make a Halloween costume from it. 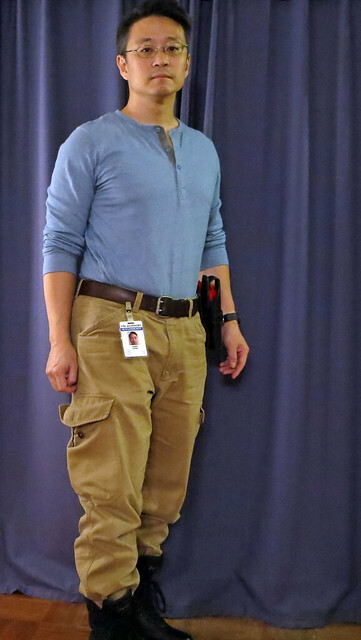 As many have noted, the trainee outfit is built around a light-blue, long-sleeved henley t-shirt, with khaki cargo pants (optionally bloused/tucked), combat boots, red training gun in holster, and a badge. 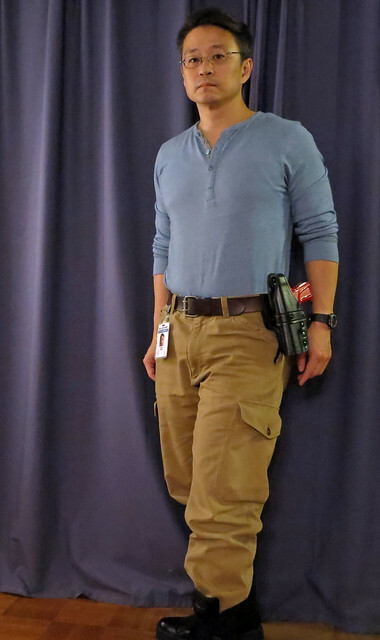 Up until now, I didn't realize the male and female cargo pants were different shades. The onscreen blue henley is four-button, waffle-textured, and way too expensive for a long-sleeved t-shirt, but I was able to find an acceptable substitute for $15 on Amazon. The shade was "eh, close enough." The fonts are a bit off, but honestly, who cares? 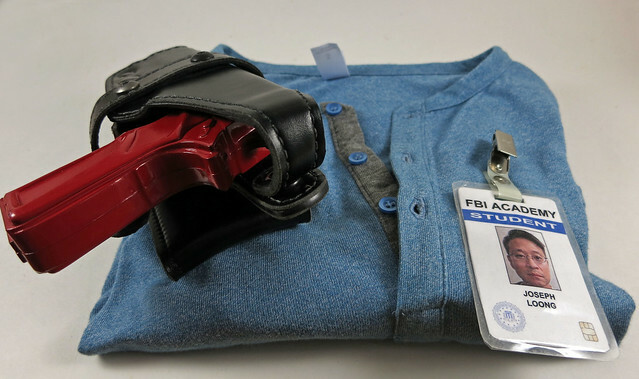 As to the finished product, over three wearings in three days, exactly two people knew what the costume was... and one of them was an actual FBI agent. Also, the holster is a pain to drive in. So, I've used up my fallback costume, which means that I have a year to come up with something for 2017.